Here’s another offering from BOSS that builds on their research and looks to the future. Using their Multi-Dimensional Processing (MDP), in-house technology, and Digital Signal Processing (DSP) yields a pedal with surprising tonal variation, low noise, and one that is expressive as well. 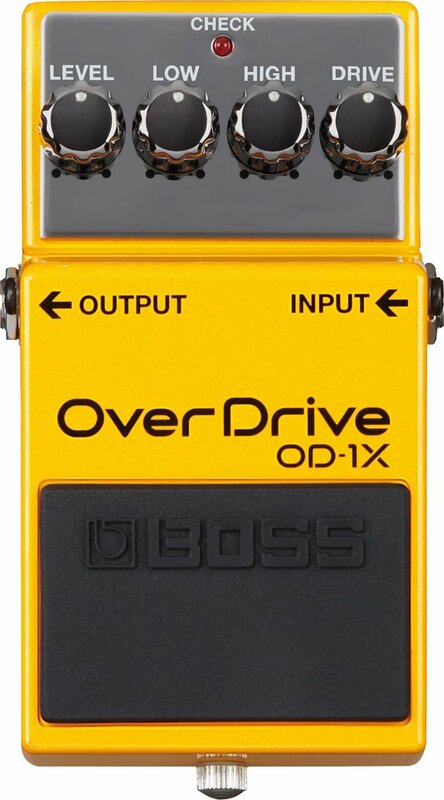 Now all that verbiage might sound a bit high-falutin’, so let’s just say it real simple, this little yellow box gives you sounds you couldn’t get with any old analog overdrive. Highs without shrillness, lows without mud, notes that sing and aren’t muffled or watery. You know, the sound you hear in your head but was always hard to find in a pedal. Guess what you just found?